Why it Pays to Bat Your Eyelash Extensions - NataliProducts Inc. 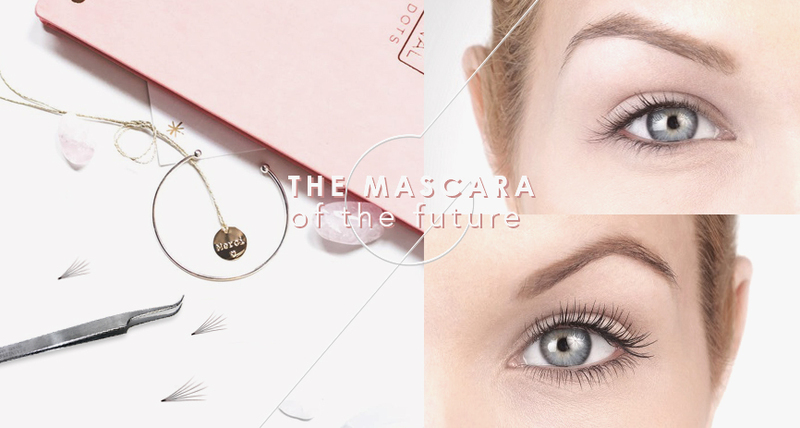 Deemed the mascara of the future, eyelash extensions remain an enviable skill and service to provide for the high profit margin they offer industry professionals. Eliminating the messy hassle of traditional mascara and waking up with lush, dark, curled lashes makes eyelash extensions an instant sell for clients. When applied by skilled professionals in a manner complementing the natural growth cycle, clients can achieve a low maintenance, universally flattering, full look that lasts for weeks before a fill. Offering eyelash extensions brings you plenty of benefits too! Nothing markets your business as well as providing great service and application for clients whose eyes will be a walking billboard for your brand. Word-of-mouth is undoubtedly one of the best ways to market your services. Consider offering other professionals in the industry such as estheticians, nail and waxing technicians or hair stylists a deep discount or a free set of eyelash extensions. These esthetics professionals come into contact with potential clients on a regular basis who are already interested in beauty services and, more importantly, trust their opinions. This is a great, easy way to bring in new clientele and benefit your business! If you’re ready to offer this high-demand service, Natali Products has what professionals need to succeed ranging from furniture, to glue and lashes, and training courses with certification. A favourite in the eyelash scene, the C-Curl is defined by an extreme curl (resembling a C shape) and is suitable for clients with naturally curled lashes as the nature of the bend does not allow a lot of base support to adhere for a long period of time. However, the style does offer a very dramatic and pronounced look. Thin and light, these stainless steel tweezers are comfortable to grip and the two fine, hooked tips make it simple to pick up even the wispiest lashes. Not only does this unique essence provide a protective finishing layer but it also nourishes lash extensions after application to keep them feeling and looking their best.